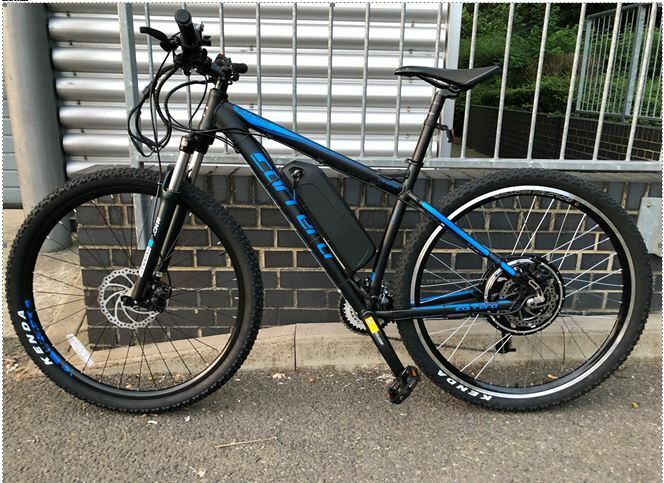 Carrera Sulcata 29er 2018 1200watts Golden Motor Edge 52V 15Ah 30Q BtteryGoldenMotor DD HUB Motor with: internal controller & regenerative braking. The very best 52V 17.5 Panasonic 18650GA Battery 8 speed Sram. This is a super reliable distance machine! AMAZING Genuine Top Speed 30mph (On just throttle, on the flat no wind with 20 stone rider)!! will easily cruise 28- 30 MPH Throttle only (if you want to pedal like a demon as well, it may go faster and further). This bike has been designed for commuting or delivery riders, yet equally great for fast light trail and built for reliability. Originally designed by use for a foreign market where high speed commuting is allowed, but here in the UK only sold for Off Road use only (hence the MTB tyres, yet road 700c do fit as well). Super reliable, quiet and it wont over heat. Most China hubs are copies of this premier motor but cant build the internal controller. This is the motor that all the “Cheap China” clones are based on but cant emulate. Notice there is no external controller on the frame? because it is located within the bub. We have breathed a little of our own magic on the this hub as well and used Ferro Fluid to make it even more reliable. This motor can be ran at flat out speed without getting hot. The bike shown in the main photo is an exact bike you will receive. We build loads of bikes, most of them much more expensive, but this is genuinely one of our favorite builds. The frame and geometry works perfectly with the ebike build. Do not be fooled by mechanical disc brakes, these are strong and reliable and allow the full working of the ebike brake cut off, normally not available on electric bikes. It also has regenerative braking for when the battery is at lower volts . This helps to conserve brake pad wear (at the rear) and put some power back into the battery. Our bike builder, all 20 stone in weight, regular travels a 20 mile return route cruising between 25-30 mph. This bike with throttle only, on the flat with no wind or pedal assistance can cover 40 miles at 20 mph. This is a genuin realistic proven statistic and a proven formula from Endless Sphere. If you pedal, you will greatly extend your range. Super smooth and silent. More powerful than proprietary brands like Bosch and Shimano and with a proven track record. These are not cheap to buy, but well designed and highly engineered devices. No ungainly bullet connectors or exterior Boxes bolted to the frame. You simply get a thumb throttle and battery state LED on the handle bar and on the battery casing. This is a stealth look bike (if you want speed and distance stats simply use a smart phone or bicycle computer). 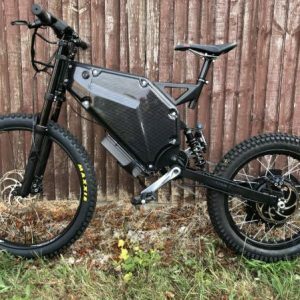 The motor can be operated directly from the throttle only, while you rest your feet on the pedals (which do not turn at freewheel) or pedal like normal. The motor is only as good as the battery. To be quite frank, there is a lot of rubbish in the battery world. So we went direct to the factory and bought the best. This is a Hailong Cased Shark type battery using Samsung 30Q high discharge 3000 mAh cells (70 of them!) running in what’s known as 14s5p. 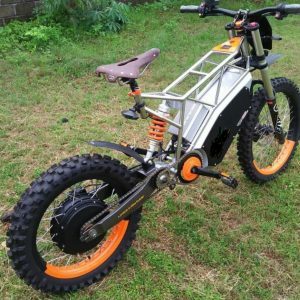 These cells are widely regarded as the best for Ebike use as they have massive discharge and re-charge abilities. There is no point using a battery that will simply over heat or die when it’s used. These batteries are built for the job and will keep doing the JOB! You get what you pay for! 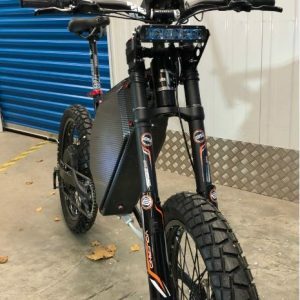 These bikes are designed for average off road use (as the law states they must not be driven on the road) but are exceptional for tarmac “Circuit Use” built for fast flat track.They are not designed for the rigors of downhill or jumps. 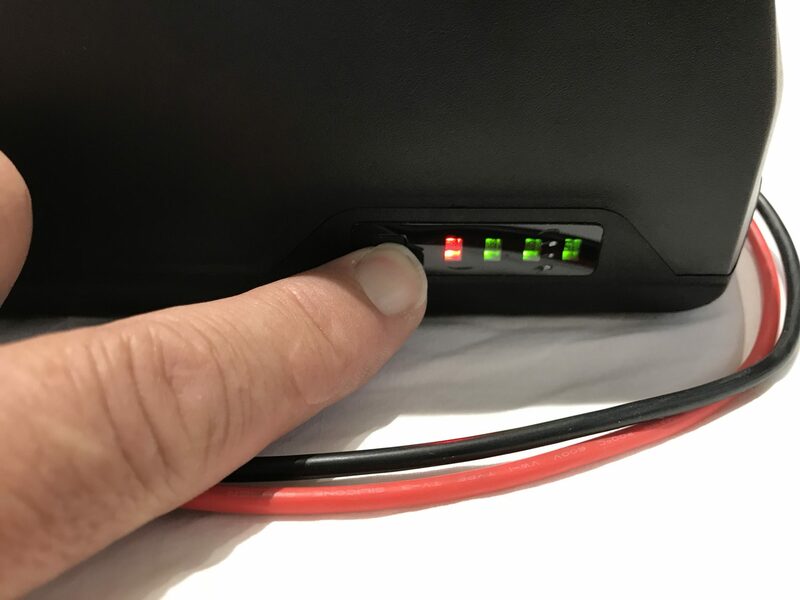 The battery is charged through a specially selected 3Ah charger with led charge indicator. Please note these are professional customized bikes and as result do not ride like normal cycles. Gear changes need a little more time and consideration. When changing gear, you will need to ease off the throttle for a second and then gently ease the power on a second while gear changes. It’s quite simple but the higher loads from the motor need a little care for the drive train. UK Law states that these units be used for off road use only. The purchaser, by buying this unit agrees and is aware that this item is sold for off road or circuit use only. It is up to individual to make themselves aware of all such relevant laws and in no way does Electron Cycles or its employees take responsibility of the purchaser’s actions. We recommend using a helmet, lights and any other safety equipment. We find we rarely upset people or draw attention to our use of electric bikes when being sensible.